All collections will take place on their usual days over Christmas and New Year, including Christmas Eve and New Year's Eve, and on the public bank holidays after Christmas Day and New Year's Day. Brown bins will be suspended for two weeks from Monday, 26 December andSaturday, 7 January inclusive. This will enable crews to focus on collecting extra recycling. 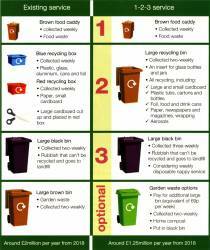 Please refer to your collections calendar as to when your brown bin will be collected next. Large cardboard will be collected for two weeks from Monday, 26 December and Saturday, 7 January inclusive. 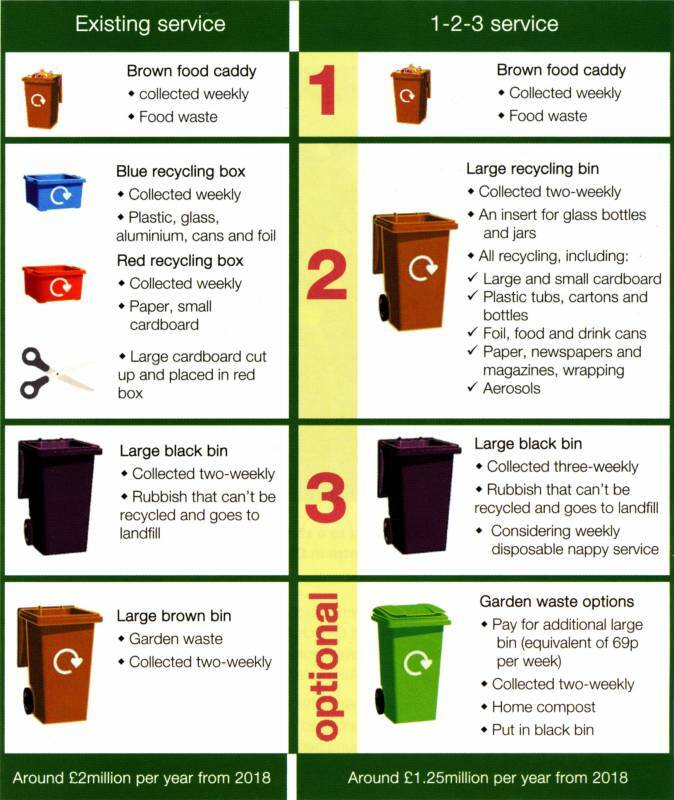 If you have large cardboard and it won't fit in your recycling box, please flatten it as much as possible andplace next to your boxes on your collection day. Please do not place it inside another cardboard box. Christmas cards, wrapping paper, sweet tins and drinks bottles. www.daventrydc.gov.uk/recycling or call us on 01327 871100.